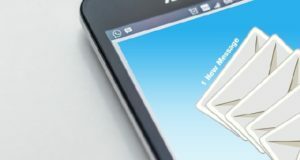 Fake Emails: What You Need to Know | Acacia I.T. Teach your employees how to identify fake emails. Fake emails, generally called “phishing” and “spoofing” emails, are a constant threat. If you learn how to spot them, you can better protect your computers and data from malware, ransomware, and other attacks. Although the display name says Bank of America, if this was actually from BofA the domain would be @bankofamerica.com not @test.net. Never open an attachment from someone you don’t know and even from those you know, if you were not expecting anything. Even if you think it may be legitimate, don’t open it! Attachments are the place that most malware lives. If you think it may be a valid attachment, contact that person via phone and confirm they sent you something. Most fake emails will have links like “You need to change your password. Please click here.” Almost all companies that require you to have a password for their site will send you an email more along the lines of, “We noticed an issue with your password. Please go to our site and correct this issue” with no link, not even just to the site! This is just one example. If you receive a potential fake email and want to verify what they are telling you is wrong, close the email, go to your browser and login to that site directly. If there is any issue with your account they will tell you once you have logged in. Emails addressed to “Customer” or “Valued Client” are at best ads but if they have your email address and don’t know your name they are most likely phishing emails and should be deleted. Phishing and spoofing emails are getting better and better at looking legitimate. They use logo’s, brands and can seem valid. Be skeptical of any and all email, if it looks at all suspicious don’t open it. If you have any questions or would like more information on these or other services AcaciaIT provides please contact us at aitservices@acaciait.net or call (520) 751-0888.